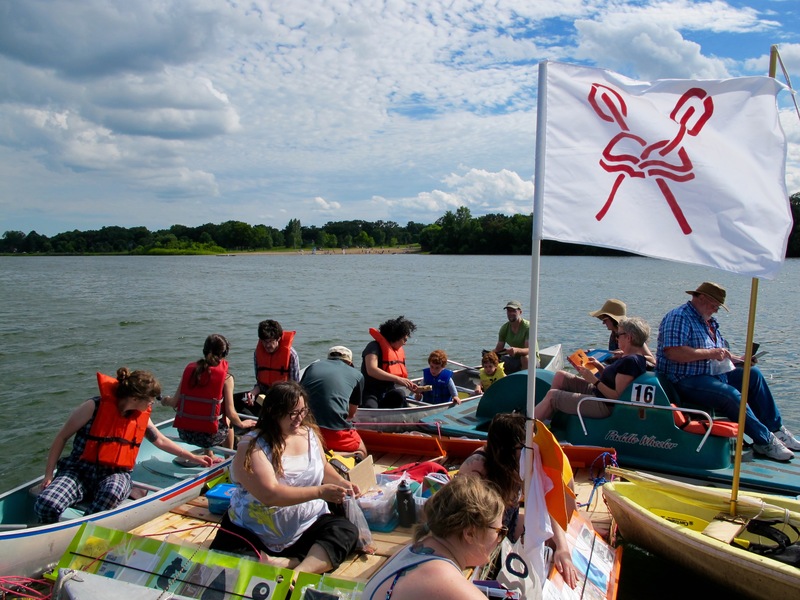 It is National Library Week so no better time than the present to announce, finally, that the Floating Library returns this summer to Lake Phalen on the east side of St. Paul. Hooray! We’ll take up residence on the water for three weekends: July 21-22, 28-29 and August 4-5. Mark your calendars now. Our return to Lake Phalen is for several reasons, foremost that it was easy and pleasant last time, and if we’ve learned anything over the course of this public art project on water experiment, it is to repeat what works. So we’re happy to be working again with St. Paul Parks and Recreation on raft and book storage. Their fleet of canoes, kayaks and paddleboats* will be ready for you as soon as it stops being winter. We are also excited to continue our partnership with the East Side Freedom Library, who will be hosting a paper boat folding workshop with Floating Artist-in-Residence Anh-Hoa Thi Nguyen on Sunday, May 20 from 1-4 pm. Stay tuned for more information on Anh-Hoa’s project. For now, start dreaming of summer and preparing your submission for the call for books! *A superior watercraft for reading while paddling, it turns out. ← So long Lake Phalen and thank you.